It also garnered nearly four times as many viewers as last year’s beta for WWII. It’s no secret that battle royale games are all the rage right now—but a recent report has shown just how popular an upcoming version of the game mode could be. 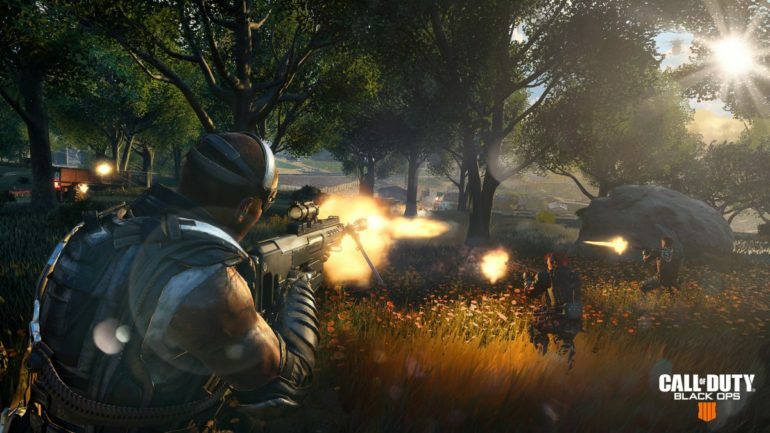 The beta for Call of Duty: Black Ops 4’s battle royale mode, Blackout, was reportedly watched for 22.4 million hours on Twitch and YouTube Gaming, according to Newzoo. This is even more impressive considering the Blackout beta was only available from Sept. 10 to 17. Newzoo also reported that the Blackout beta reached a peak of 540,000 concurrent viewers on Twitch. In comparison, last year’s beta for Call of Duty: WWII only achieved 5.8 million hours watched and a peak of 141,000 concurrent viewers on Twitch, according to Newzoo. But, obviously, the WWII beta only offered multiplayer gameplay and didn’t include a battle royale mode. And since this was before the growth in popularity for Fortnite, it makes sense why WWII’s beta numbers are so much lower than Blackout’s. These numbers should be taken with a grain of salt, however. Rod “Slasher” Breslau tweeted out the top esports games in 2018 based on “esports hours watched” on Twitch and YouTube, according to Newzoo. But MLG’s Adam Apicella claims that the numbers for Call of Duty, at least, are wrong—Apicella said that the Call of Duty World League alone had more than double Newzoo’s reported number for the esport, and that the stream on Twitch for CoD Champs 2018 in August had one-third of the provided statistic. Regardless, the reported viewing numbers for the Blackout beta indicate just how excited fans are for the upcoming mode. Call of Duty: Black Ops 4 will be released worldwide on Oct. 12.